While treating cancer in its earliest stages dramatically increases overall survival rates, the detection of carcinogenesis in these preliminary stages has proven difficult. However now, investigators at the Dana-Farber Cancer Institute have just presented findings from the ongoing Circulating Cell-Free Genome Atlas (CCGA) study suggesting that a liquid biopsy test analyzing free-floating DNA in the blood may be able to detect early-stage lung cancer. Early diagnosis is paramount to improving survival rates for lung cancer. A blood test that could be done through a simple blood draw at the doctor's office could potentially have a major impact on survival, but before such a test could be widely used, additional validation in larger datasets and in studies involving people who have not been diagnosed with cancer would be needed. Liquid biopsies, which analyze cell-free DNA in blood, are already used to help choose targeted therapies for people already diagnosed with lung cancer. Until recently, there has been limited evidence to indicate that cell-free DNA analysis may be feasible for early detection of the disease. The CCGA study has enrolled more than 12,000 of the planned 15,000 participants (70% with cancer, 30% without cancer) across 141 sites in the United States and Canada. The new report is from the first substudy from the CCGA, in which three prototype sequencing assays were performed on blood samples from approximately 1700 participants. Twenty different cancer types of all stages were included in the substudy (additional early results from the substudy, including breast, gastrointestinal, gynecologic, blood, and other cancers will be presented separately at the 2018 ASCO Annual Meeting). 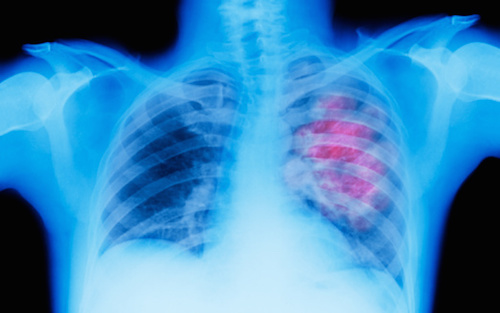 The researchers explored the ability of the three assays to detect cancer in 127 people with stages I–IV lung cancer. The assays were designed to detect cancer-defining signals (mutations and other genomic changes) that could be used in an early cancer detection test. The initial results showed that all three assays could detect lung cancer with a low rate of false positives (in which a test indicates a person has cancer when there is no cancer). Of the 580 samples from people without cancer at the time of enrollment in the substudy, five (less than 1%) had a cancer-like signal across all three assays. Of those five participants, two were subsequently diagnosed with cancer (one with stage III ovarian cancer and one with stage II endometrial cancer)—highlighting the potential for such tests to identify early-stage cancers. Among participants with lung cancer, the study found that more than 54% of the somatic (noninherited) mutations detected in blood samples were derived from white blood cells and not from tumors. These mutations are likely the result of natural aging processes (so-called clonal hematopoiesis of indeterminate potential, or CHIP) and will need to be considered when developing blood tests for early detection of blood cancers, Dr. Oxnard noted. The researchers are verifying these results in an independent group of approximately 1000 participants from the CCGA as part of the same substudy. Following this, they will continue to optimize the assays, then validate them in an even larger dataset from the CCGA. With increased sample sizes, machine learning approaches are expected to improve assay performance.